Pleasanton, Calif., April 15, 2019 - Maddie's Fund®, a national family foundation established by Dave and Cheryl Duffield to revolutionize the status and well-being of companion animals, is celebrating its 25th anniversary milestone this year. To date, Maddie's Fund has awarded more than $225 million to help guarantee that every dog and cat has a healthy home or habitat. The celebration, which kicks off today at the Humane Society of the United States Animal Care Expo, will continue over the next 12 months. It will include a salute to the organizations who have done amazing work, have shared their work with their communities and have asked for their help to increase lifesaving. Maddie's Fund will share stories from these grantees who have made an impact, then and now. "The effect that one little dog, Maddie, and her family, the Duffields has had on companion animals is remarkable," said Mary Ippoliti-Smith, Executive Leadership Team member of Maddie's Fund. 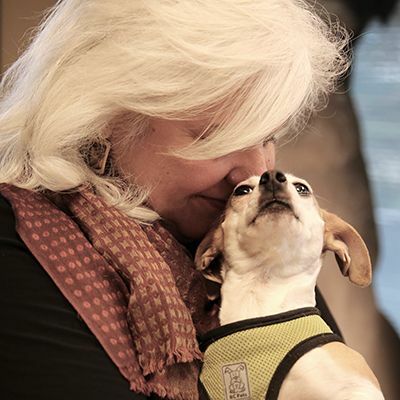 "Maddie has inspired so many firsts for pets - from grant giving that empowered communities to collaborate and rewarded transparency of shelter data to encouraging foster care as the new gold standard in lifesaving." "We are extremely proud of how far the animal welfare industry has come," said Dr. Laurie Peek, Executive Leadership Team, Maddie's Fund. "This lifesaving wouldn't be possible without good humans - good humans working in the industry; in shelter medicine, shelter and rescue organizations as well as good humans fostering and adopting these pets. We are thankful for each and every person who has played - and continues to play - a significant role in lifesaving. We look forward to celebrating with all of you over this milestone year!"